Autumn is my favorite season of the year. The beautiful colors of the changing leaves. The cool weather. The flocks of migrating birds. Seasonal flavors like apple and pumpkin. The warm glow of a fire. All these things help make this time of year special. Fall is not just my favorite season though. It has been a time of celebration for many centuries in many cultures. This is because fall is the time of harvest. Farmers and gardeners have worked long hours through the rain of spring and the heat of summer to till fields, plant seeds, remove weeds, and water crops. All that hard work pays off in the fall during harvest. Of course many crops are harvested at other times in the year. But the most are harvested around the months of fall. This is a happy time of year because the farmer and gardener reap the rewards of their hard labor. They now have crops that they can sell at the market. But they are not the only ones who are happy. All the people who depend on the farmers and gardeners for their food are also joyful in this season because they have plenty of food as well. It is a time of much rejoicing. Many cultures have celebrated a harvest festival in the autumn. It is still popular today in the form of Thanksgiving. Having plenty of food is not the only reason everyone is happy though. They also celebrate because now they have plenty of food stored to last through the cold winter. Little food will be able to grow during the winter months so everyone will depend on the food harvested in the fall. It will need to last until the next spring. So how disappointed would a farmer be with a tree or plant that she worked hard to grow all spring and summer that produced no fruit in autumn? I think extremely disappointed. The Bible only refers to autumn a few times. The Bible uses autumn to represent harvest. In Jude 1:12, false teachers are compared to “autumn trees without fruit.” False teachers are disappointing because they seem like a good tree that will produce much fruit in the fall, but when harvest time comes they have nothing. As Christians we are all teachers according to the Great Commission (Matthew 28:19-20). We are to teach others about Jesus and his love leading them towards him. This is the fruit we are to produce. But many Christians are like trees that produce no fruit. Jesus warned his followers sternly about this in the key text. He said not everyone who calls me Lord will enter heaven. Only those who do God’s will. In Revelation 14:14 Jesus is described as holding a sickle at the Second Coming signifying he is coming to reap the harvest. This is the autumn of the world. Autumn should be a fruitful season, the most abundant of the year. But not all the trees and plants will have a harvest for Jesus to reap. Many Christians may look very fruitful now. But some are false teachers that don’t actually produce anything good. These will be gathered up and discarded. Only those that do the will of God and work to teach others about Jesus will be gathered with the harvest to live in Heaven. Only those who work now in the spring rain and summer heat will have joy in autumn. 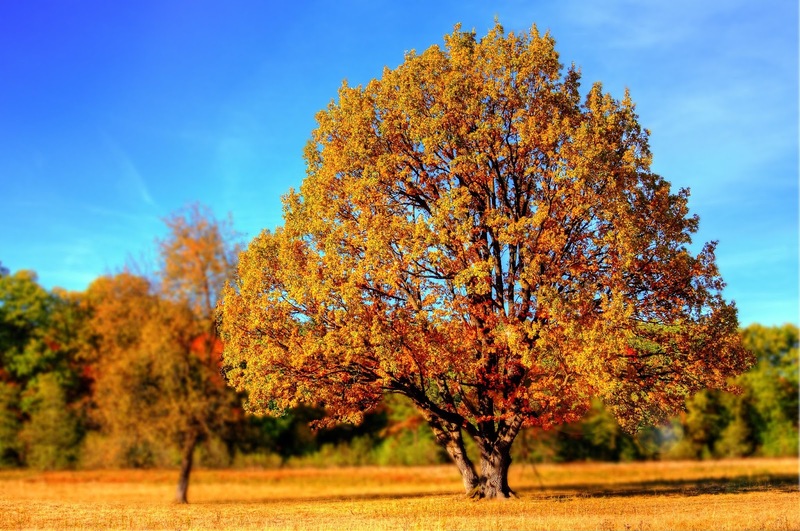 Which type of tree will you be at the last autumn? Does the key text mean that we have to convert other people to our religion to get to heaven? How do we go about teaching others about Jesus? How can you teach others about Jesus even if they don’t want to talk about him?